As can be seen, the cable has been found lurking in my knitting bag of all places. The last place one would look you would think, unless you were me obviously, although come to think of it, it was the last place I looked because that’s where I found it! 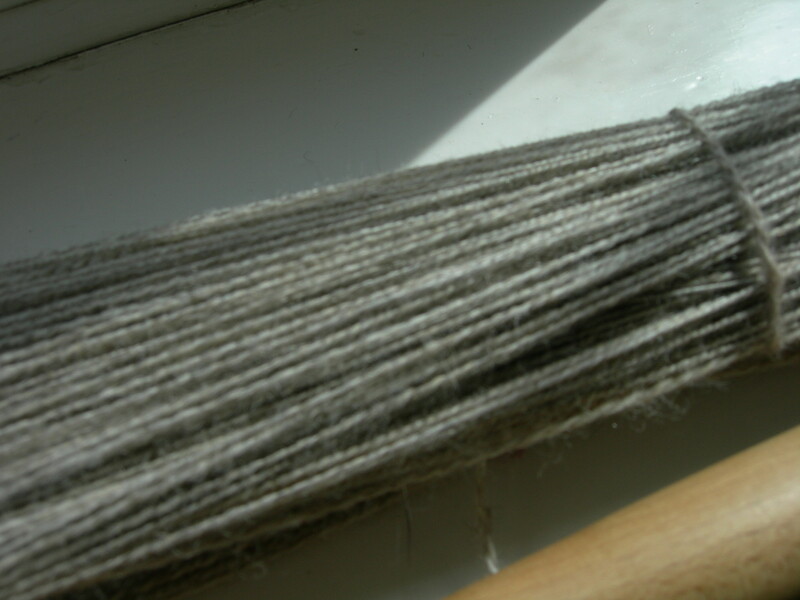 Anyhoo, here are the pictures of some of the spinning I have been doing lately, I actually have three lots on the go [long story for another day perhaps?] but this lot was the only one washed and ready to be photographed. 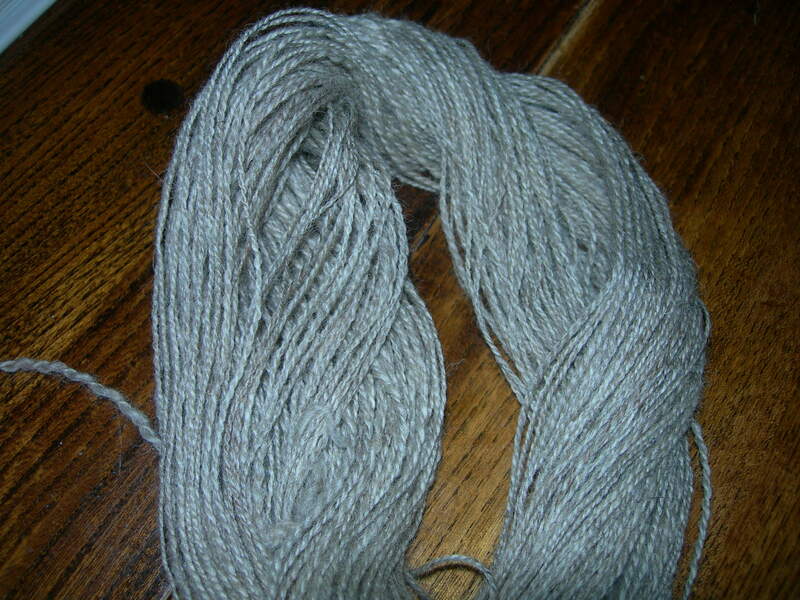 I can’t remember the fibre, I bought it at the East of England Fibrefest on a very wet and soggy, muddy, but very enjoyable day in 2011. 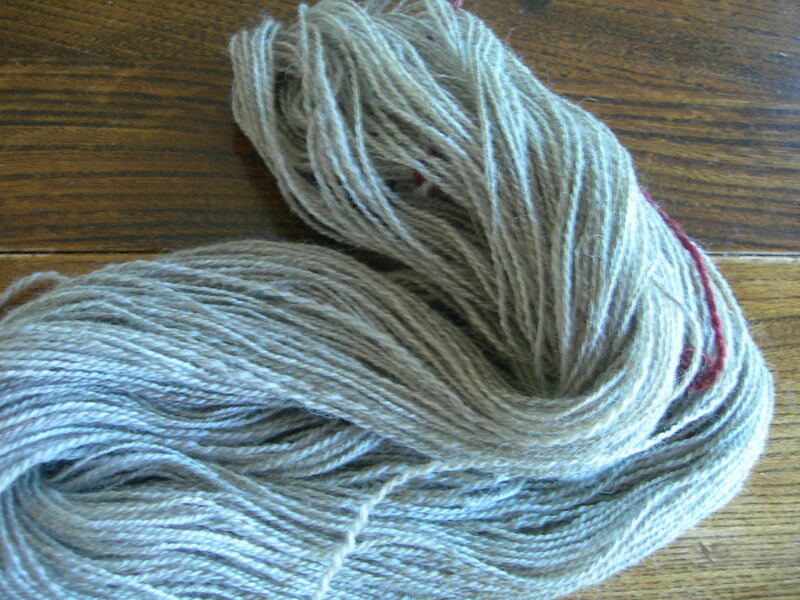 Key to pictures from left to right; singles on bobbin; plied wool [2 ply], and [3 et al] finished skein, washed and dried. I weighed it and there are exactly 2ozs. there. 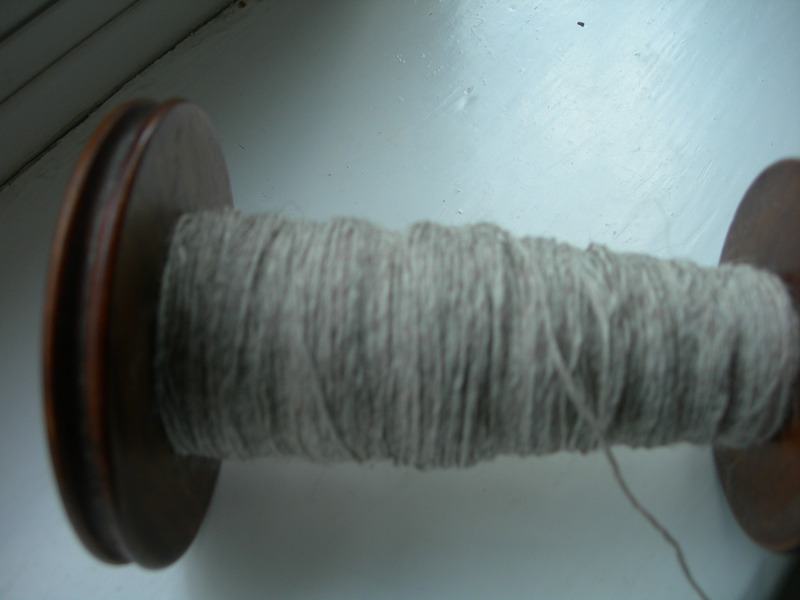 Perhaps I should explain for non spinners out there, that 2ply in handspun is not the same as 2ply commercial terms. 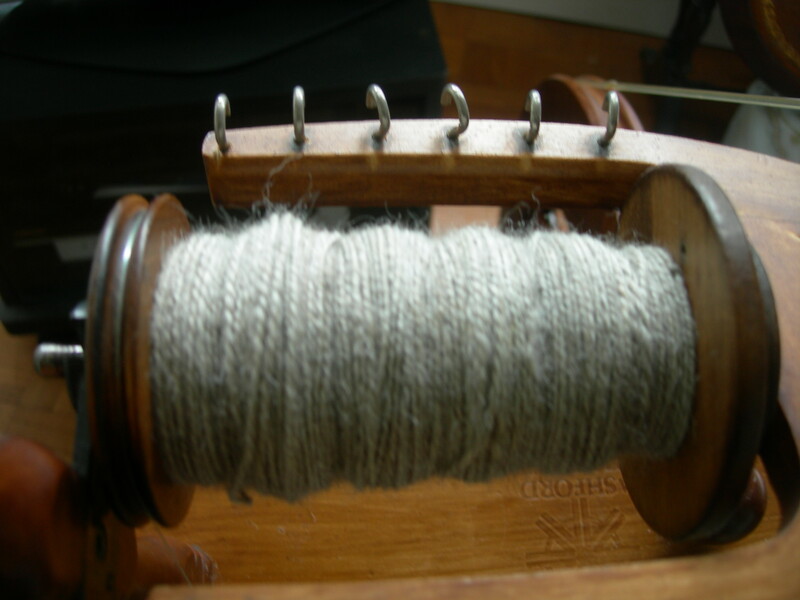 It merely means two bobbins of wool or fibre, plied together. The thickness would be double the thickness of the singles, whatever that might be. [Singles is the term used for the wool as it is spun straight from the raw fibre and is rarely used on its own, other than in weaving]. [Spun on an Ashford Traveller [single], for those interested].